This is the age of Big Data and marketers are not shying away from putting all the data together to predict customer needs and preferences. This process, in simple words, is called predictive analytics and it involves the use of data, statistical algorithms and machine-learning techniques to provide an assessment of what will happen in the future. To be honest, predictive analytics has been around for several years but it only gained relevance post 2009, according to an Accenture survey. If you observe closely, marketers are now interested to “predict” or anticipate what their customers might like. That’s what predictive analytics is all about! Multichannel marketing, on the other hand, is the ability to interact with potential customers on various platforms. It can be a website, social media, a retail location or even word of mouth. The reason why multi-channel marketing is important is because customers are everywhere. Customers have more control over the buying process than marketers do – at least that is what the scene is today. So to ensure the former group gets exactly what it wants and through the right channel(s), marketers have to take predictive analytics more seriously than ever before! Customer data integration (CDI) is the process of gathering and managing customer information from all available sources, including contact details, customer valuation data, and information gathered through interactions such as direct marketing. This is necessary to determine the level of re-investment by the marketers for each individual. The process is to analyze each customer’s profile and then create personalized offers across multiple channels such as email, mobile and social media. Since customers interact with brands across multiple channels, it is vital to identify those platforms which are able to provide the customers relevant experience and satisfy all their product requirements. This not only combines data on customer’s purchasing history and behaviour (including online behaviour metrics such as social media and eCommerce) to calculate correlations of that data but also to provide insights on the effectiveness of various campaigns and social media channels. 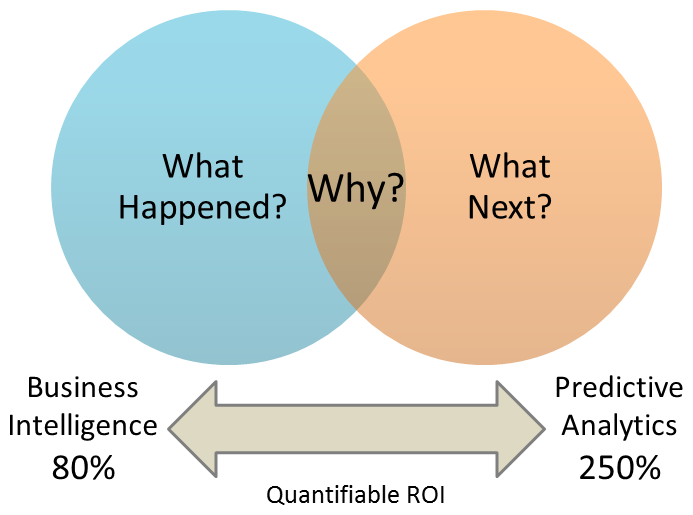 Product propensity analytics help the marketers in predicting what the customers are more likely to buy and through which channels. So many social channels have mushroomed in the last couple of years – so many of them! All of them have implemented analytics to not just show how posts are getting better engagement rates but also to predict the kinds of posts might get a favourable response in the future. Companies are moving ahead on their social journey and they are making predictive analytics a very big part of it. Predictive analytics has the power to encourage marketers perform even better at what they do and to focus where the buyers are. Which customer is going to spend the most monies on your brand is a tough metric to crack but this kind of insight can allow marketers to optimize their strategy to increase their share of that segment of the business. Automation suites such as Wigzo will not only help marketers to identify such customers but also help them to create a communication plan to make them stay on the website or hooked to the brand for a longer period of time. Risk comes in various forms for any company and can mushroom in varied places. With the help of predictive analytics, it is possible to spot areas of risk from huge chunks of data collected the company. Marketers can then identify these risky areas which will hamper business development in the future. They can easily capture and quantify risk issues, evaluate them and then choose a course of action to tackle the factors that can cause the maximum negative impact. No two customers are alike. Every customer is a separate entity who is driven by personal preferences and interests. What works for one customer may not work for another – it’s a simple fact. Marketers, today, need to understand these individual ‘differences’ between the customers and then personalize the messages to fit each of their expectations. The main aim of Wigzo is to offer solutions that create personalized experiences across all customer touch points from a single integrated digital marketing platform. It helps brands to forge an interactive relationship with the customers based on real-time, bespoke communication, and spurring them to convert their purchasing intent into action. Predictive analytics is a powerful technique, and if marketers make full use of it, then they can generate better results by extending the customer life cycle and even increasing the revenue generated by each individual customer.